Abuja — The House of Representatives yesterday brought the Federal Capital Territory Administration under intense scrutiny as lawmakers decried the poor sanitary condition and decay of social infrastructure in the Federal Capital City of Abuja and its satellite towns. Also yesterday, the House passed a motion urging the Federal Government of Nigeria to draw the attention of the African Union [AU] to a new form of imperialism and land acquisition by some trans-national corporations and rich nations of the world. The lawmakers urged all tiers of government in Nigeria to devise proactive measures against this land grab by protecting communal lands from those they referred to as predators. It specifically mandated its Committee on Governmental Affairs to liaise with all tiers of government in the country to mobilise the local communities to resist the temptation of donating public lands to foreign interests under any guise. 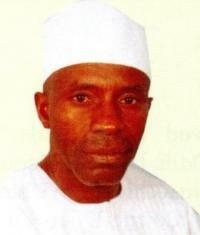 Honourable Samaila Abdulahi Mohammed, who brought the motion on the land grab and new imperialism expressed worries that over the years, large expanse of African lands have either been bought or leased to foreign countries and trans-national companies under the guise of agricultural development. According to him, the new form of imperialism in the name of development posed a threat to lives, ecological balance, and may in the future create resource conflicts in Nigeria and Africa as a whole.